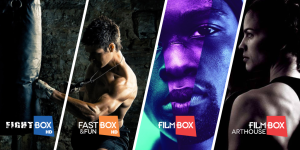 Pay TV channel provider SPI International/Filmbox has struck a deal with Lebanese Network Broadcast (LNB) whereby the latter will carry nine channels from the SPI portfolio. LNB will carry SPI channels FightBox HD, the group’s 24/7 sports network with live international MMA events, DocuBox HD, its documentary channel covering nature, wild life, science and human civilization, Fast&FunBox HD, SPI’s lifestyle/sports channel, Filmbox Art House, a movie channel offering independent and classic films, Gametoon HD, a new interactive, eSports channel for millennials, FunBox UHD, a general entertainment channel featuring native Ultra HD content, Filmbox, SPI’s flagship movie channel with films and TV series, and FashionBox HD, its fashion trends network. “Since August 2017, the mission of LNB is to unify all wired cable operators under one platform and acquire copyrights for them,” said Fadel Hodroj, general manager and CEO of LNB.